The search giant Google has announced its dedicated YouTube for kids. Dubbed YouTube Kids, the app is a available for free on the App Store for iPhone and iPad. The company says that this is “the first Google product built from the ground up with little ones in mind,” the app is designed with a filtered, “safe,” environment for kids to enjoy video content on YouTube. Since it’s built with children in mind, the app has tons of parental control options for parents. Ingress, the real-world adventure game from Google’s Niantic Labs, is celebrating its second birthday this November with a special series of live player-driven events along with in-game rewards and medals to be unlocked during play. Come November 1st, Niantic Labs will kick off an all-new monthly event series called “First Saturdays” to celebrate and initiate new Ingress agents. “First Saturdays” will run simultaneously in more than 120 cities across the world including, Irvine, California to Bangkok, Thailand to Chennai, India to Perth, Australia, and more. Each meetup will be led by Ingress agents who will help new players learn the basics of the game while getting them up to speed. 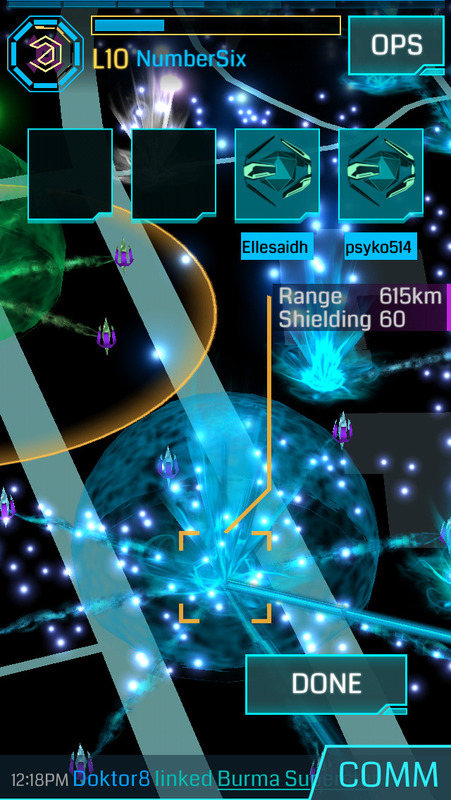 During these events, players from Ingress‘ competing factions — the Enlightened and the Resistance — gather together for group meetups before starting a friendly game. For the full list of information, you can see the official post on the Google+ page for Ingress. The team behing Ingress also provided us with a full list of what special rewards players can get leading up to November 1st. Agents will earn double AP points on all actions for the next two weeks. 3X more Rare Heat Sinks and Multi-hacks to help agents replenish inventory and stock up. 3X Resonators to help agents capture more portals. 3X more XMPs from enemy Portals to help agents in stagnant areas turn the tide for their faction. Bronze “Innovator” medal: all agents that reach L3 and above. Silver “Innovator” medal: all agents that reach L9 and above. Google’s Niantic Labs Brings ‘Ingress’ to iOS! Just yesterday, Google’s Niantic Labs launched their hit Android real-world adventure game — Ingress — onto the iOS App Store for the first time ever at no cost. Downloaded more than 4 million times on Android, iOS gamers can now join forces with a massive global community of Ingress agents for seamless cross-platform play. What makes the game unique is that it uses geo-location technology in mobile devices to make the world into a virtual game. Real world locations ranging from historical sites, landmarks, parks and artwork become different “Portals” for Agents to capture and control, encouraging players to get active and moving. Players can either side with the Enlightened or the Resistance factions, then both iOS and Android players can engage through cross-platform action. From what we were told, in the first half of 2014 players have also achieved some pretty impressive milestones in the real world. For a quick rundown, be sure to check the list below. More than 74,000 miles (more than three times the circumference of Earth) have been walked, ran and biked during the 65 live events hosted around the world. Entries (RSS) | Comments (RSS) | 85 queries in 0.654 seconds.